Followers of my blog (all two of you!) 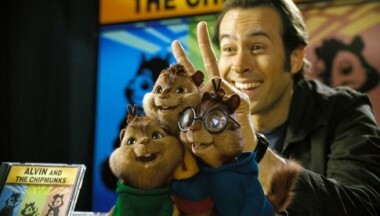 may remember my previously voiced criticism and discontent over news of the live-action adaptation of Alvin and the Chipmunks. I understand the dilemma of trying to remold something that was popular many years ago to something that bears relevance to the culture and society of today, while still trying to keep the “essence” of that thing in tact. But what can I say? It’s a segment of my childhood that is so ingrained into my memories that the mere thought of Hollywood potentially ruining the formerly popular franchise was just exasperating and yet, I’m guilty to admit, somewhat intriguing. I wanted to see what they came up with and if my worst fears would come true.